The Rotary Club of Honeoye Falls – Mendon thanks Tonya and Tim Flaherty for the generous hosting of the 2018 Breakfast with Santa on December 15 at Flaherty’s Three Flags Inn in Honeoye Falls. It was a very successful community effort that saw over 600 community friends – including 250 children – meet with Santa and enjoy a wonderful breakfast of eggs, sausage, pancakes, donuts, muffins, potatoes and drinks. 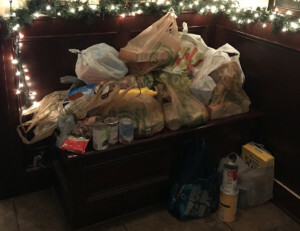 Folks brought in over 250 lbs of non-perishable food donations and made significant monetary donations to the Rotary community activities. Tim and Tonya Flaherty would also like to thank all the Honeoye Falls – Lima Interact Club students for their excellent community service in serving and busing all the tables during the event. They worked very hard and made the event a huge success. 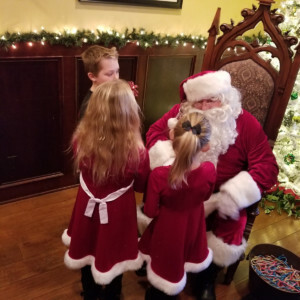 All in all – Breakfast with Santa shows the warm holiday spirit and community giving of Honeoye Falls, Lima, Mendon and beyond!